At my FLGS we tend to run a campaign of some sort about every 3-4 months. Whenever we do them the attendance at the shop is crazy. The last campaign we did averaged 20-22 players each week. The best part, in my opinion, was after the campaign was over a lot of the players stuck around and became more regular players instead of infrequent ones. It’s that time of year again and Ming wrote up a pretty cool campaign. The campaign is the Battle for Macragge. Of course we’re allowing everyone to play, not just Marines and Bugs. It will span 3-4 weeks, depending on mission outcomes, and should be a great time for everyone. The thing I enjoy most about campaigns is the chance to tell a story. First, there’s creating the campaign. Planning it all out, the consequences of certain actions, the results of matches and the story you want to portray are all integral to a great campaign, and a lot of fun to create if that’s your thing. There’s also the chance to build stories and create fluff for your army with campaigns. The groundwork is already there, the setting, why your army is there and the main objective of the engagements. With the backdrop in place it’s easy to use the actions of those games to create a unique and interesting story for your army. Another thing I like about campaigns is there’s a purpose beyond winning a match. I love playing 40K as much as the next person, but you throw a reason to play a game into the mix and it’s magnified fun for me. I’ve never been a roleplayer, but I do enjoy elements of roleplaying like advancements and consequences. These are things you just don’t get in a standard game of 40K. It’s one of the reasons I enjoy Blood Bowl so much. 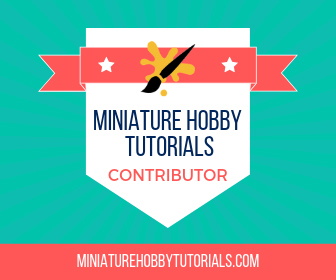 The chance for hobby related inspiration is a part of my enjoyment too. Granted, that can be seen from any match you play, but I find it more so with a campaign. Maybe you had one model who fought against overwhelming odds and it went on to win you the game, but the result of that game was paramount to the success of your side in the entire campaign. Here we have a story, we have consequence and we have the chance to do something really cool with the model to showcase its success. These are just things I was thinking about earlier and decided to share. Next week we’ll begin our winter campaign and for these reasons I’m looking forward to it. I plan to use my Chaos Marines, assuming we have enough Imperials, and at the early stage my army is in this will be perfect for them. Having the chance to flesh these things out with any army of mine is one of those things that keeps me playing 40K. Aside: I have another related article about the mind of a fluffy gamer. Yeah I really enjoy campaigns too, for all the reasons you said. Another thing I like about them is that you often have to play unbalanced matches with armies you wouldn’t normally pick, which is fun and doesn’t happen often enough. 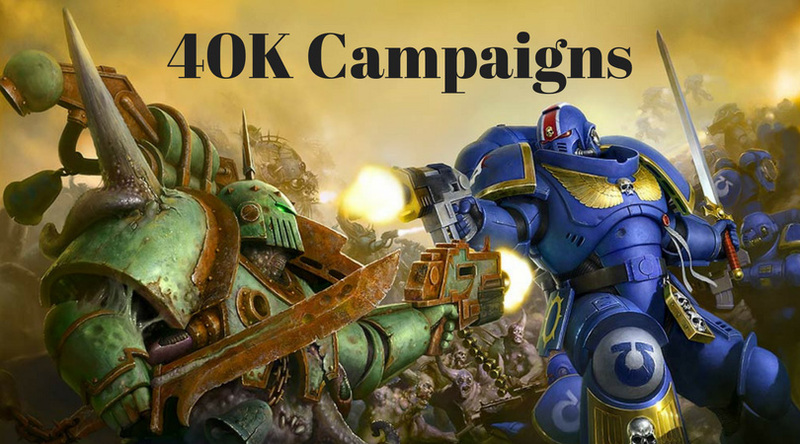 Historical gamers know the fun of that sort of game, but 40k players don’t seem to much these days. Agreed. In the past I haven’t done a campaign that forced you into certain, shall we say less than ideal choices, but the one we’re doing now does impose certain restrictions and it will be interesting to work around those. One thing I’ve noticed is points don’t make as much difference as you think! I’ve lost with an advantage of 500 points and won with a 500 point disadvantage. We do have one game where there could be a point difference between sides. I’ll have to see how it pans out on average with there bound to be about 8-10 matches going on.